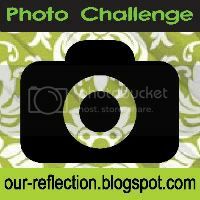 I found out the coolest thing - Our Reflection holds a weekly photo challenge every Friday! How cool is that? This week's challenge is 'Something Sweet'. If I could get a photo of all my awesome followers together, i'd turn that in! Which reminds me... the ACC Facebook page has 60 fans! Woo! I now have over 200 followers total via GFC, LF, Pinterest, FB, Bloglovin', and email! You guys are seriously the best! Also a few extras I took - I'm craving Peeps now! Don't forget to head on over to Our Reflection to find out all the details! The link has all the info. Come back later tonight for another Five Things Friday!